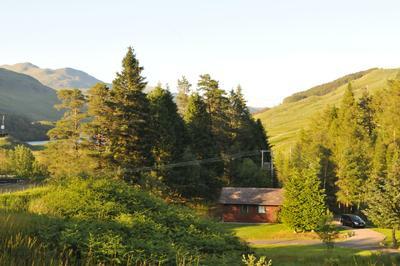 Spacious luxury 4 star, 3 bedroom holiday property with breath-taking views of Glen Dochart in the Scottish Highlands. Regional finalist or Visitscotland's 2015 Thistle Award for category 'Best Self Catering in Scotland' for our region. Gamekeeper is a beautiful 3 bedroom holiday property that can sleep up to 6 people. With an open plan kitchen, living and dining area the property benefits from a large sliding patio door that leads onto a private East facing balcony with garden furniture offering unrestricted views over Loch Dochart, Loch Iubhair (pronounced Ewar) Ben More and the surrounding mountains. A truly magnificent Highland setting. With all the comforts from home (and more) the Gamekeeper is equipped to a high 4 star standard with a king size double bed in the master bedroom and two further twin bedrooms with large single beds and all supplied with soft Egyptian cotton bed linen. We pride ourselves on the comfort of our beds. A holiday would not be a holiday without a good night's sleep. Newly fully tiled bathroom with bath and power shower over. Situated on the Portnellan Estate high on a hillside with commanding views over Glen Dochart, Gamekeeper has a magnificent setting with a true Highland landscape all around. Often complimented by the abundance of bird and wild life that an be seen on the estate. It is not unusual to see the deer meandering off the hill and passing nearby your chalet. 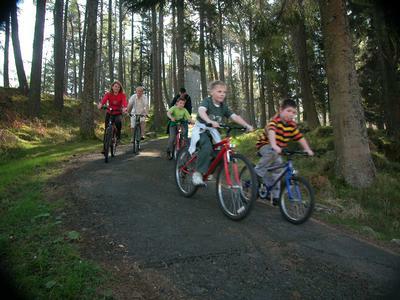 The Portnellan Estate has been privately owned by the same family for well over 30 years and offers fantastic facilities to include fresh run salmon and trout fishing on the estate lochs and river, mountain bikes with plenty of trails on and off road for all abilities. 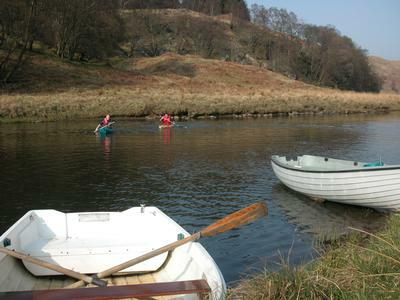 Canoes and rowing boats on the river and loch. Clay pigeon shooting can also be arranged. Wifi is available throughout the estate as well as bbq hire, dvd library and a large selection of board games. We can even offer fresh eggs from the chickens and a selection of organic meat products fresh from a farm locally perfect for the bbq or home cooking. Gamekeeper is so centrally located for exploring Central/West Scotland with known landmarks only a short distance away. Oban 45 mins, Stirling, Fort William and Glasgow just over an hour. Edinburgh 1.5 hours. Glen Coe and all it beholds is less than 40 mins drive and the bonnie shores of Loch Lomond are 20 mins by car. Other areas include the truly beautiful Glen Lyon and Loch Tay, Glen Etive, Glen Lochay and Glen Orchy all within the local area. Whether you are looking for the adrenaline rush of adventure or lazy days on your doorstep, out and about on the many hills in the local area or exploring one of the most beautiful parts of Scotland, Portnellan and the Gamekeeper offers the warmest of welcomes upon your return. 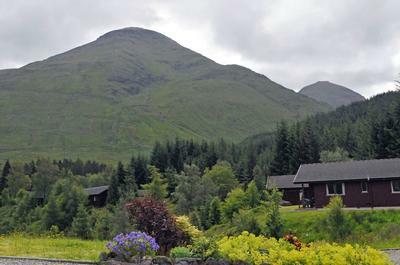 Located on a small family owned estate just East of the village of Crianlarich on the A84/A85. The property has breath-taking views across Glen Dochart, Loch Iubhair and the surrounding mountains Ben More and Stob Binnein. Contact Cameron Taylor for Enquiries and Availability.